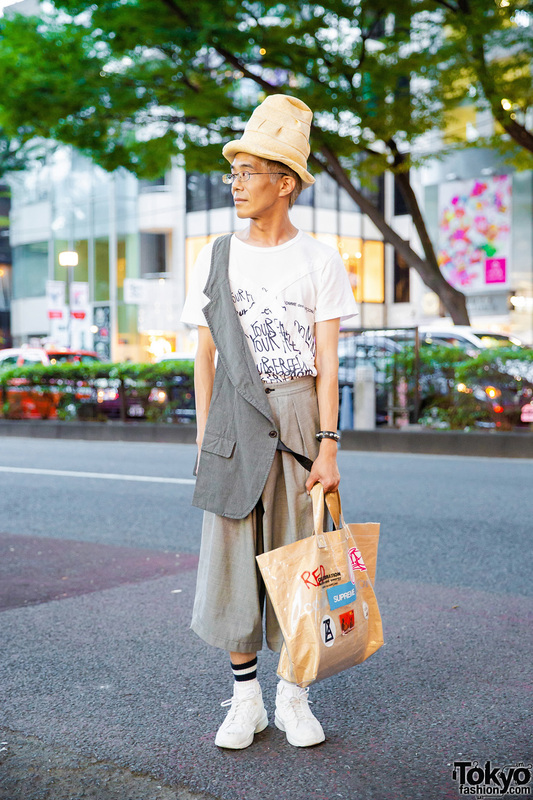 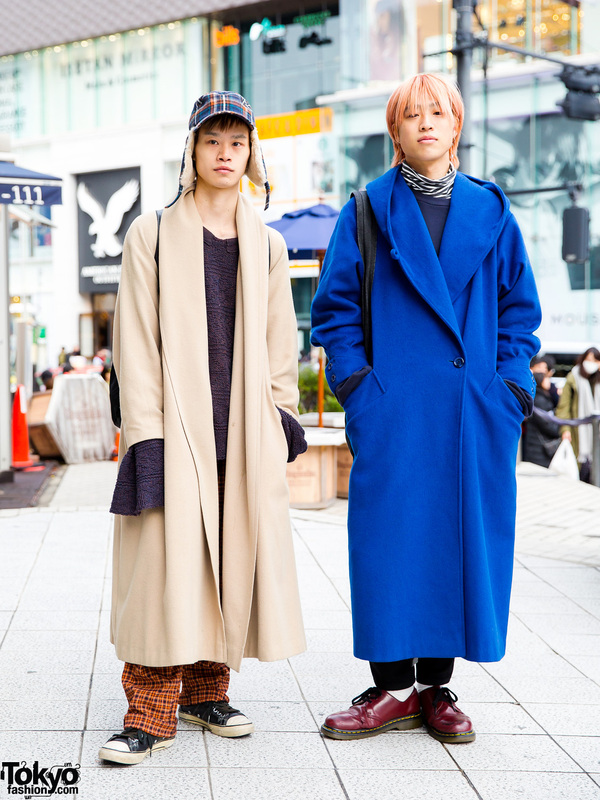 50-year-old office worker wearing Comme des Garcons while out and about in Harajuku. 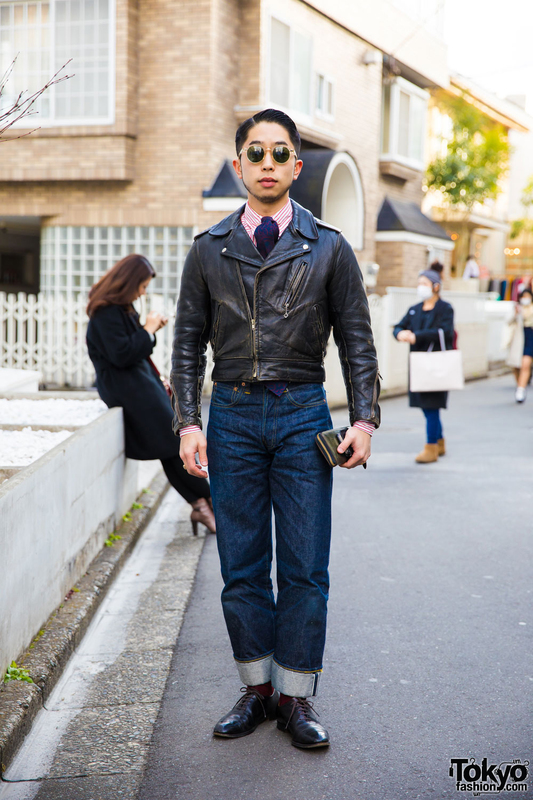 Harajuku guy in vintage inspired outfit including cuffed denims, leather jacket and lace up leather loafers. 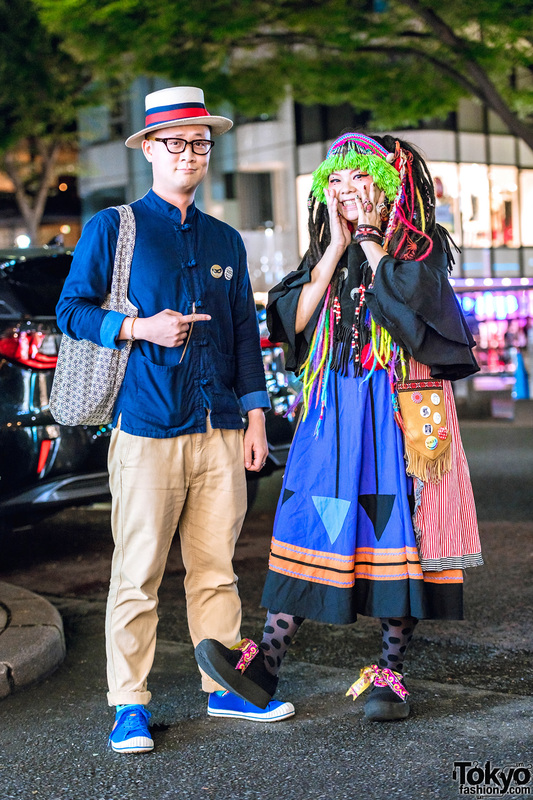 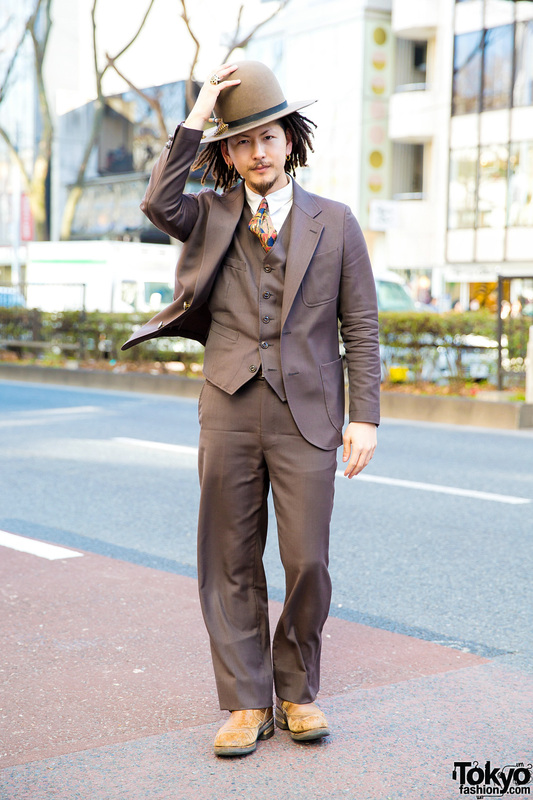 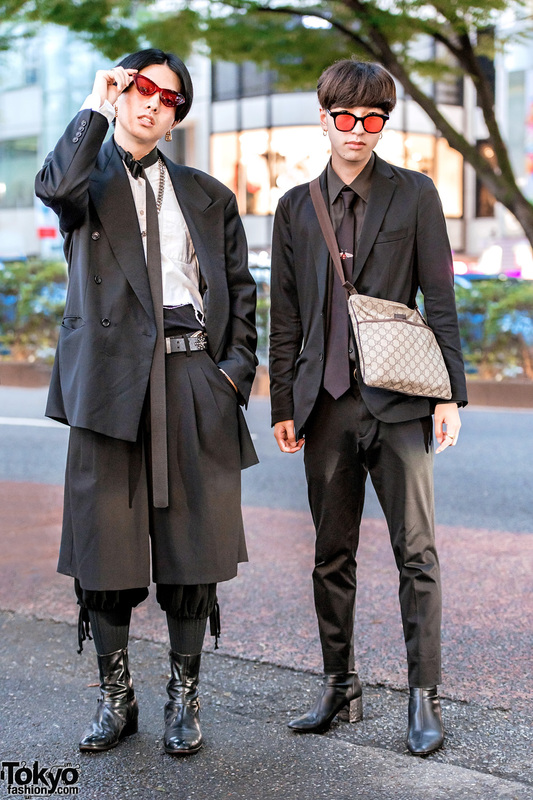 Harajuku guy wearing a top hat with an Alice Auaa overcoat, Takeo Kikuchi dress pants, dress shoes, and a large leather backpack from Dr. Martens. 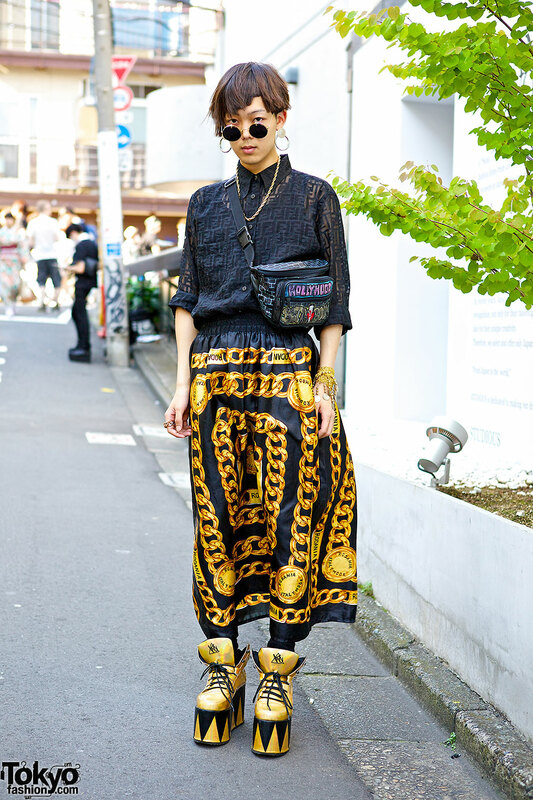 Harajuku girl in bomber jacket and wide leg pants with purple clutch bag and white sneakers.